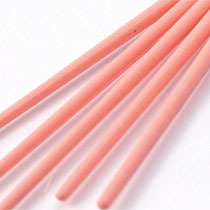 Now also available in .04 and .06 greater taper. 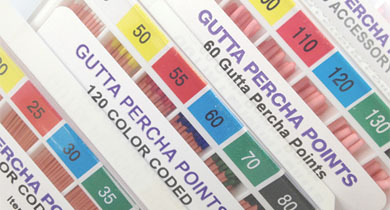 The Gutta Percha Points are precision hand rolled and color coded according to ISO standards for easy identification. 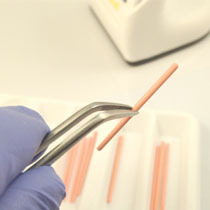 They come in a special package for easy dispensing and selection. 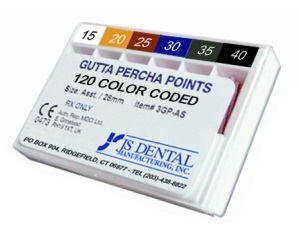 They are Cadmium free and color coded with non-toxic pigments. 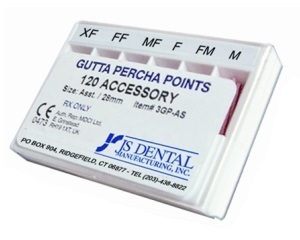 Available in 28mm length, ISO sizes15 thru 140 as well as Accessory sizes XF thru XL.